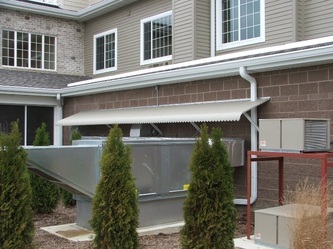 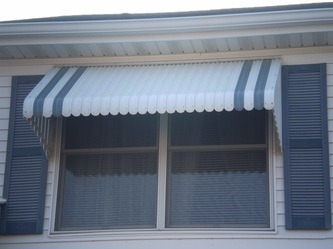 CASCADING WATERFALL NON VENTILATED ALUMINUM AWNING! 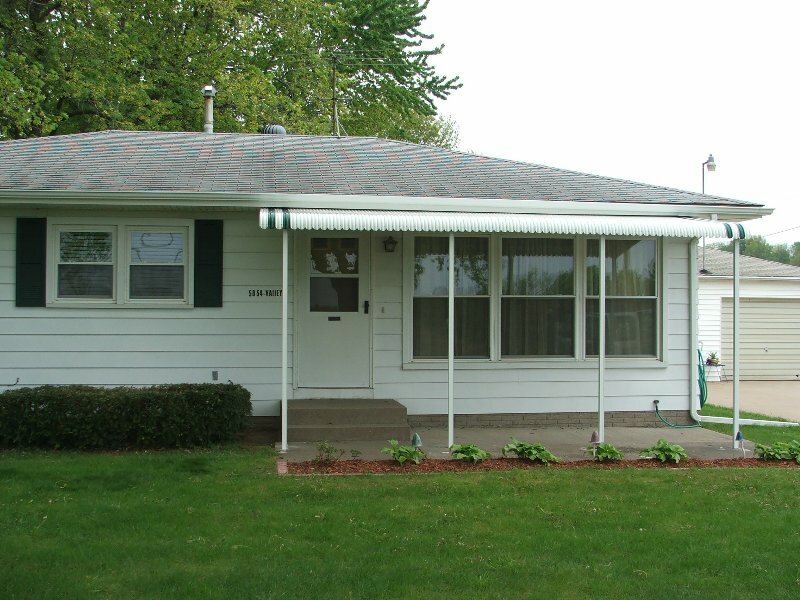 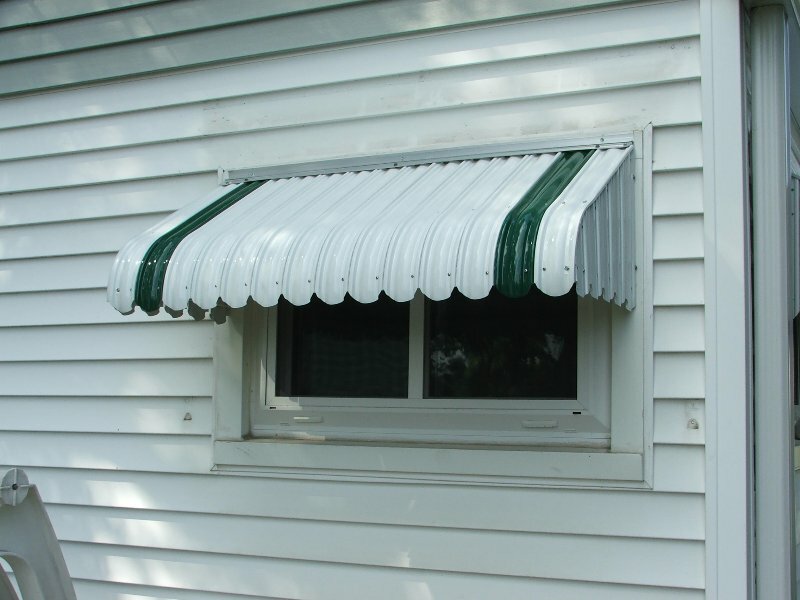 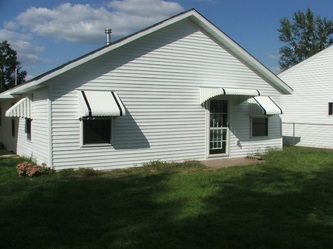 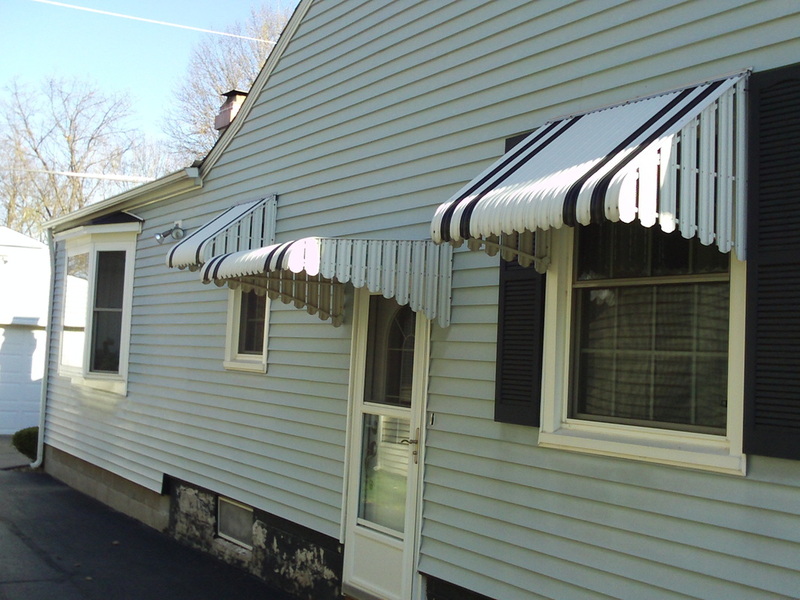 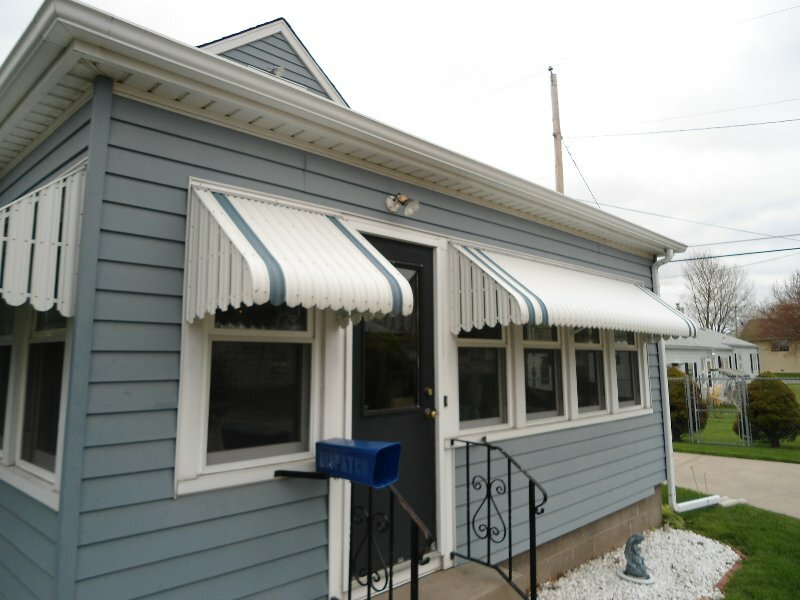 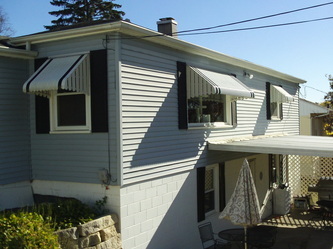 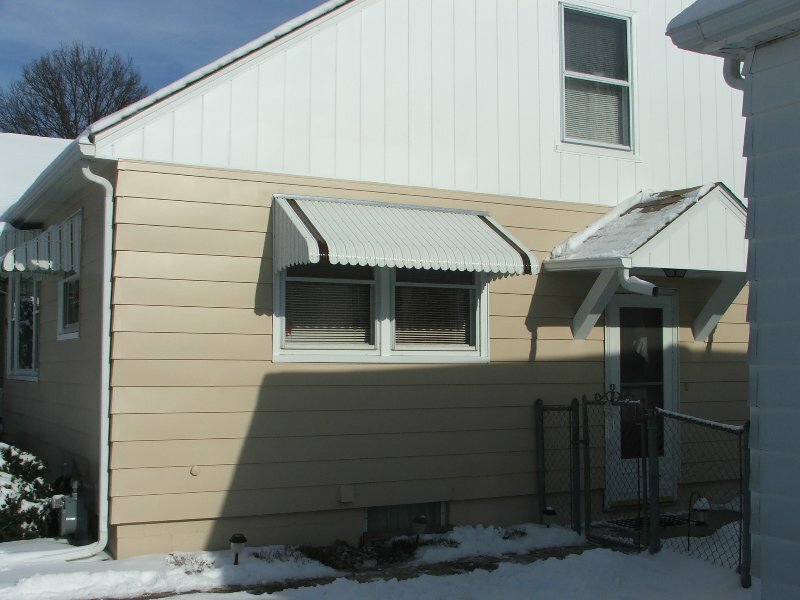 Fairlite window aluminum awnings can be aluminum or rigid vinyl for areas prone to hail damage. The slats are 3 1/16 wide and ventilated on the side. 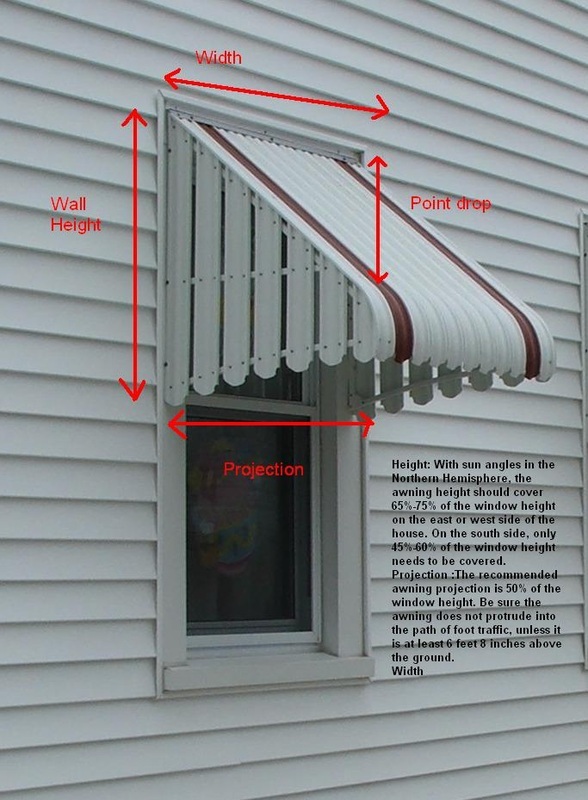 When measuring for Window awnings, measure the size of the window, height, and width. 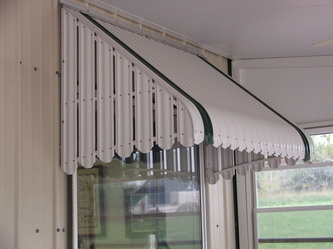 End wings of the awning should hit about 1/2 down the height of the window, for maximum coverage. 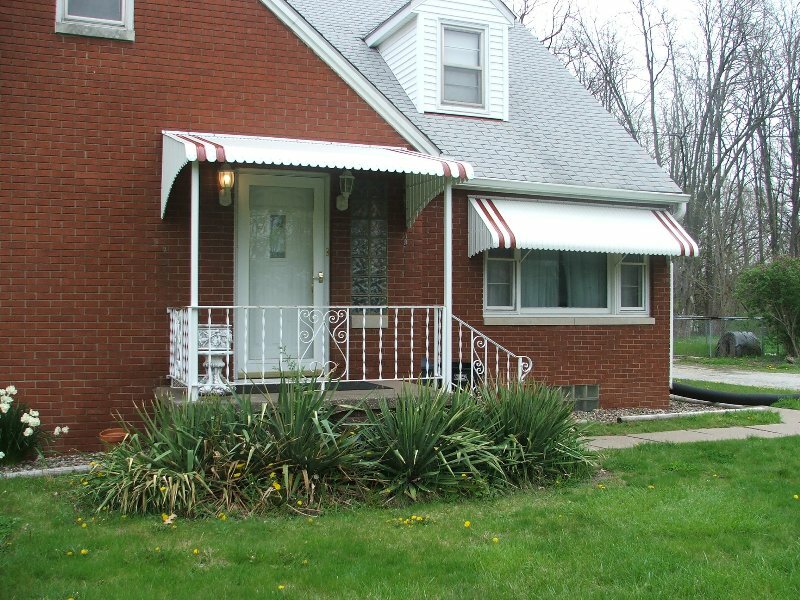 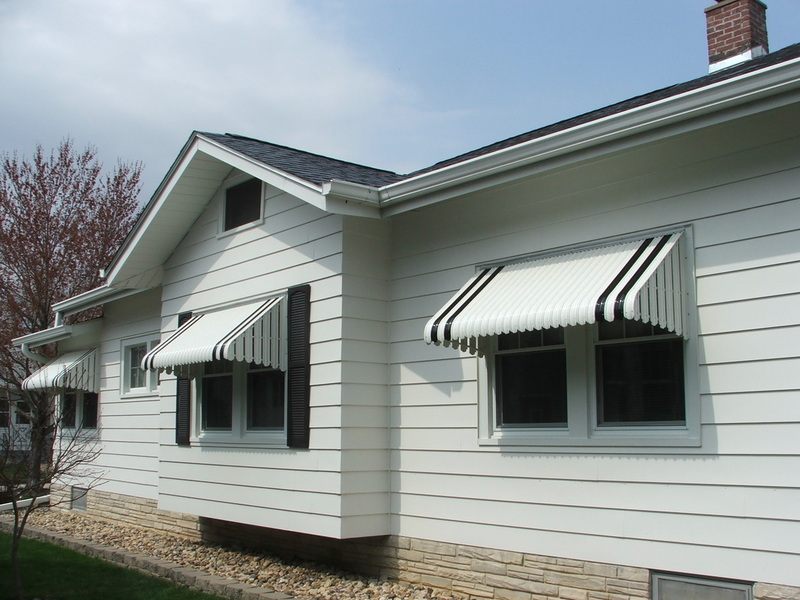 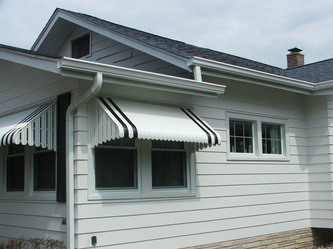 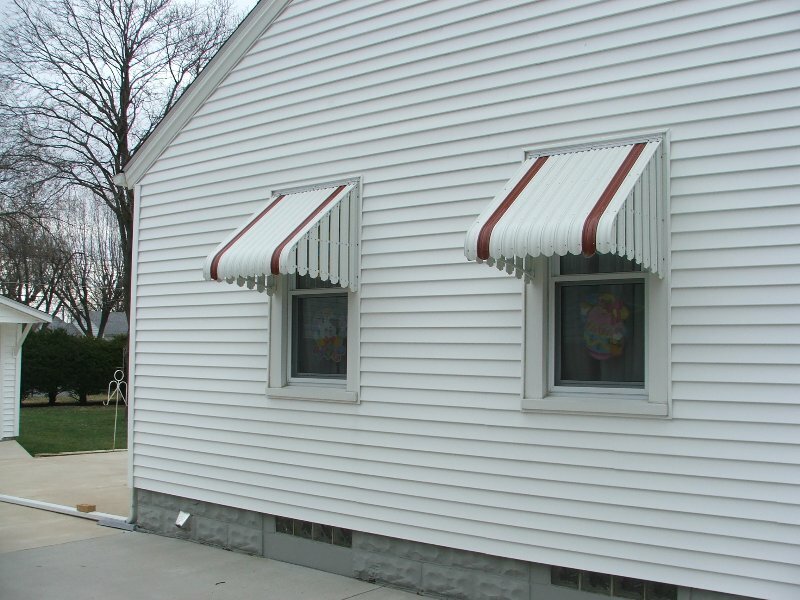 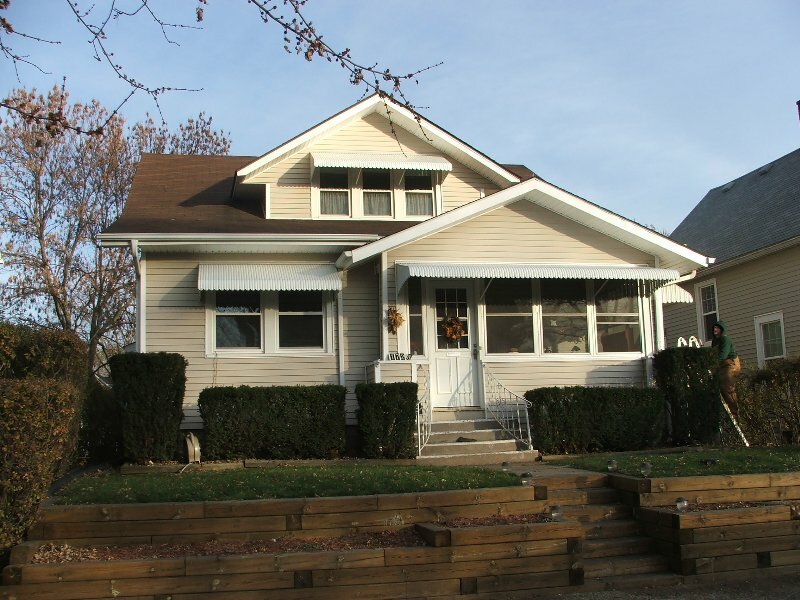 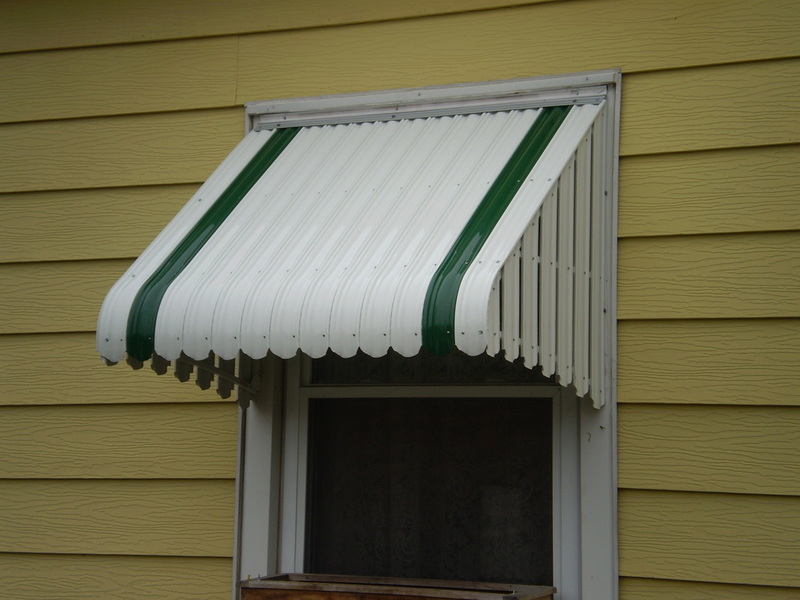 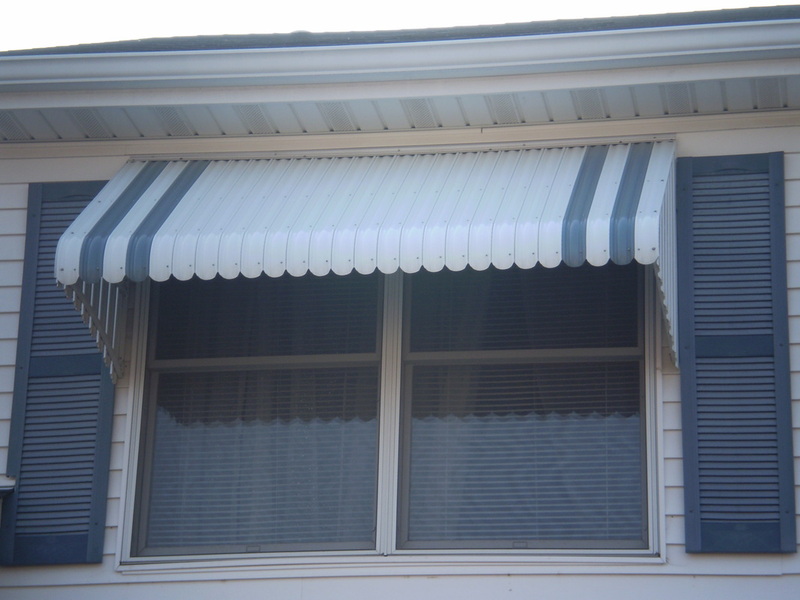 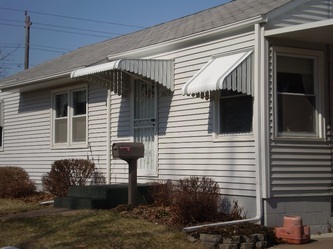 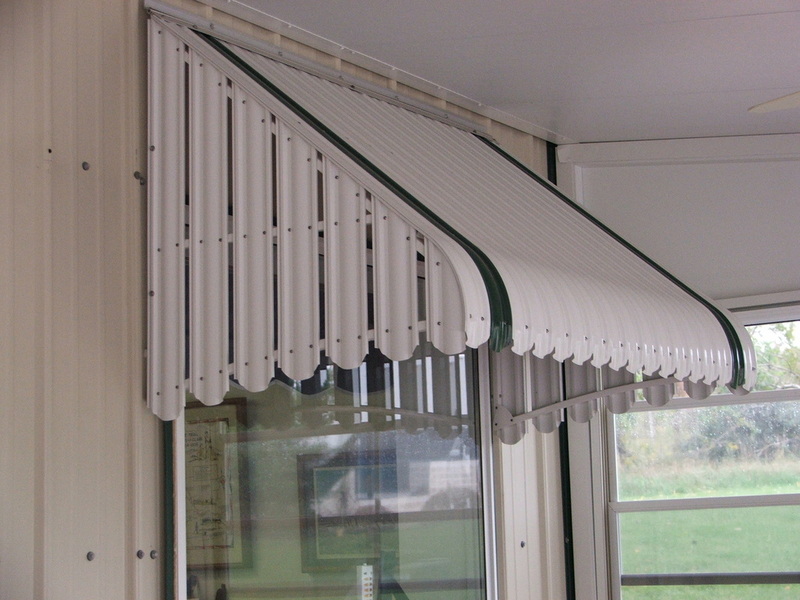 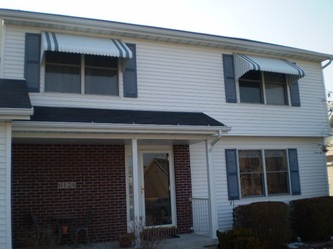 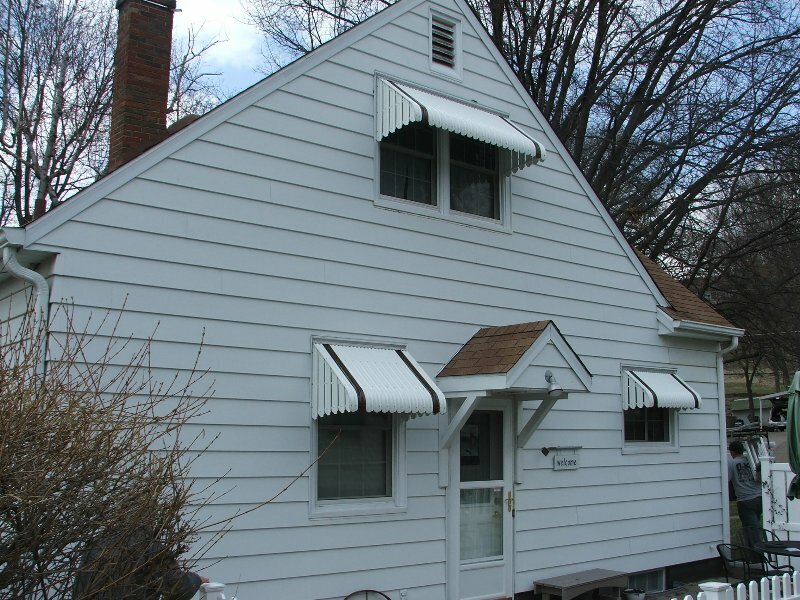 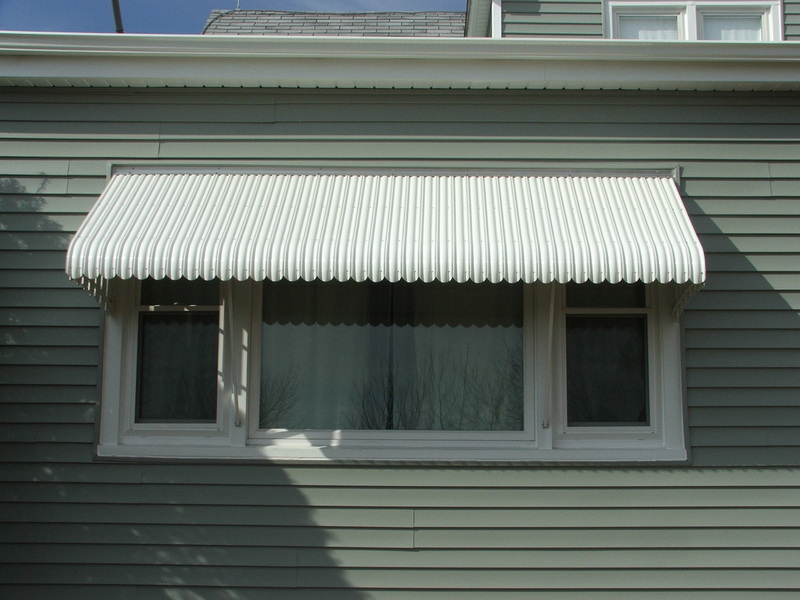 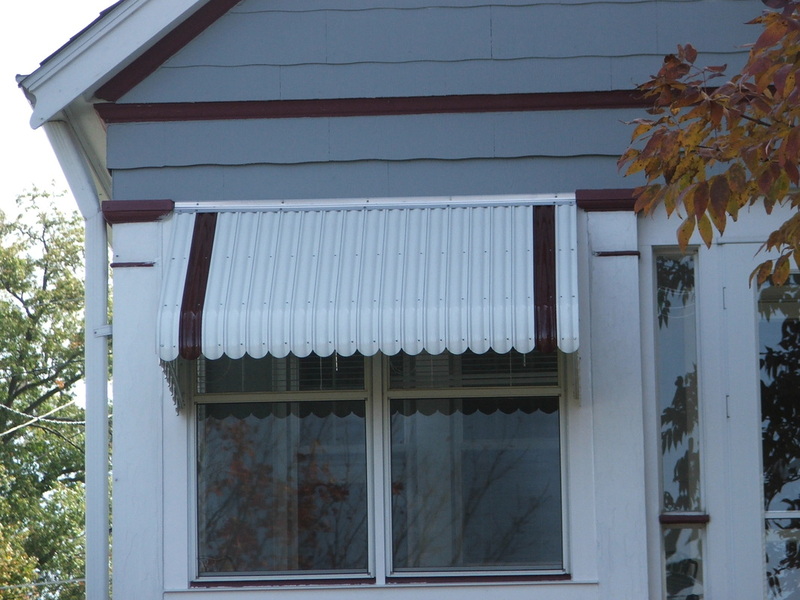 For windows that face west or south, the FH style of awning is used. 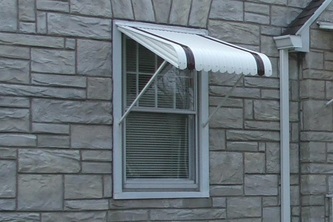 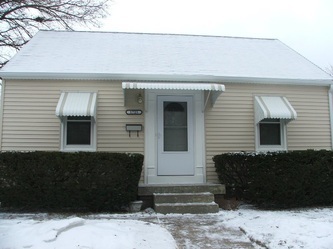 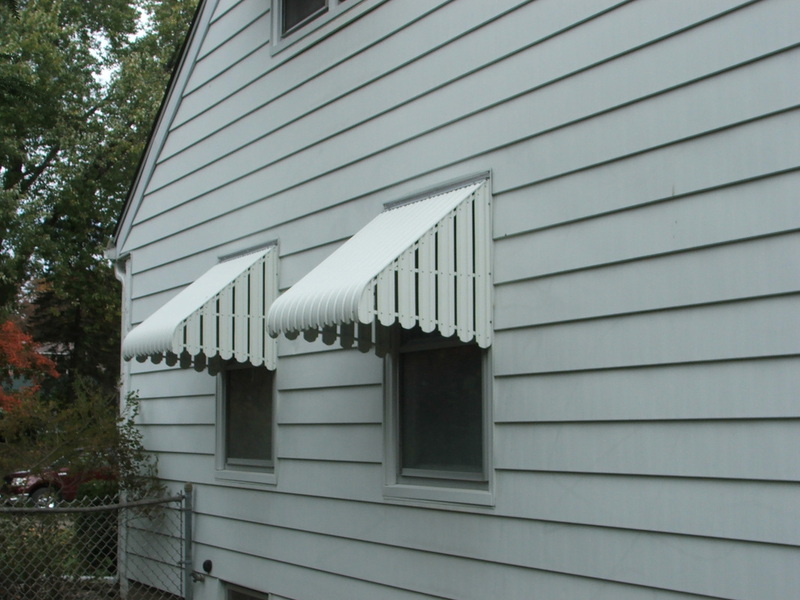 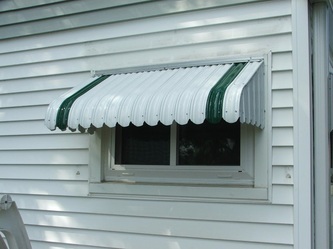 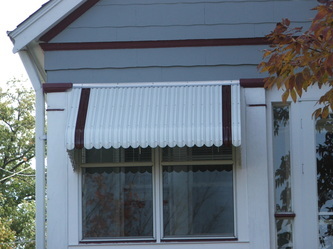 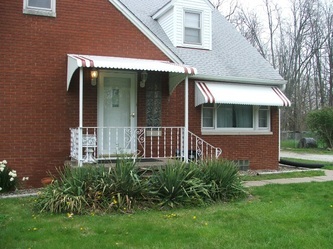 This style of awning has a lower point drop for maximum shade. 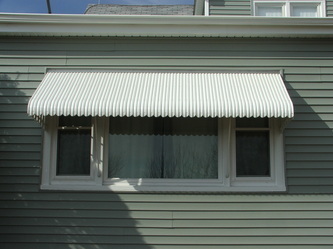 Picture windows usually FM style awning to provide more view from the window. 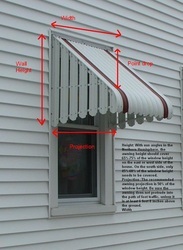 Projection is determined if the window is a crank out window. 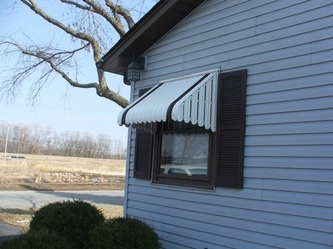 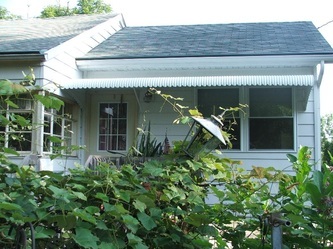 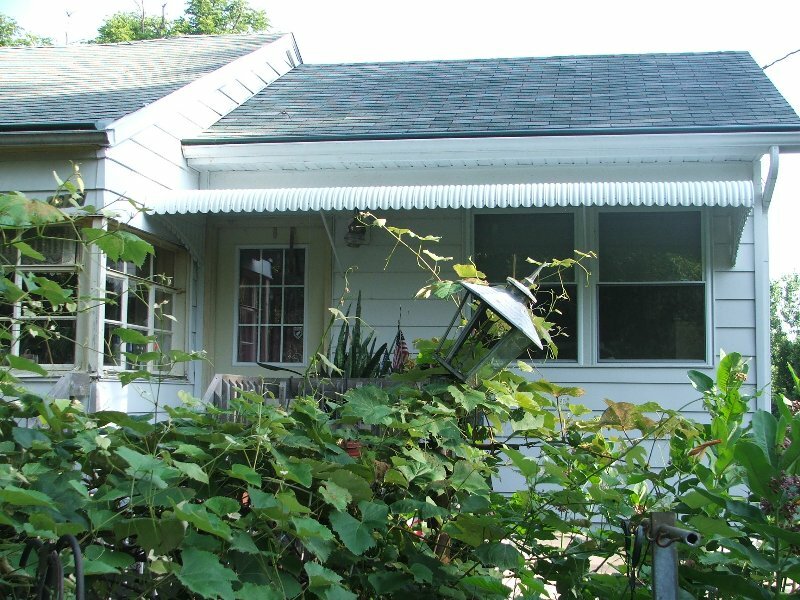 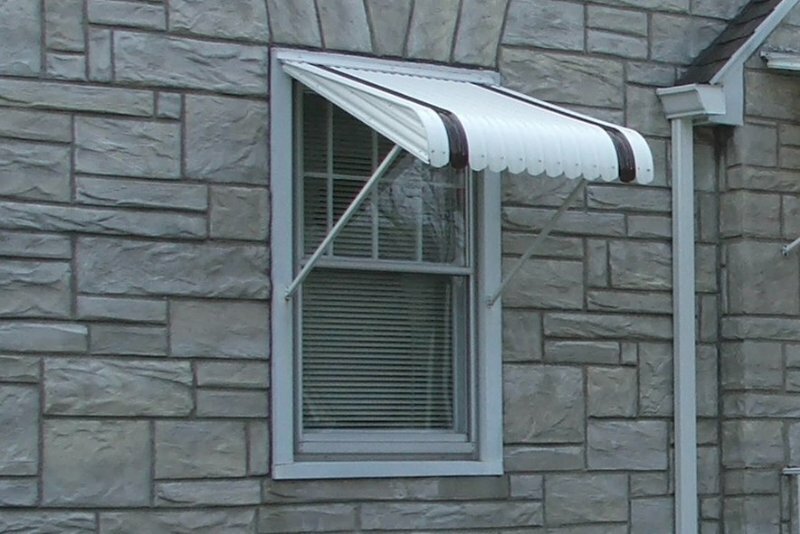 Ask the professionals at Weather Whipper for the right awning to fit your windows. Installation. 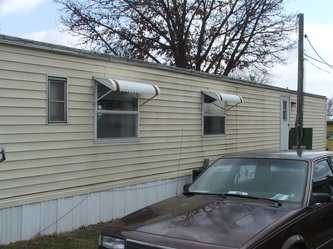 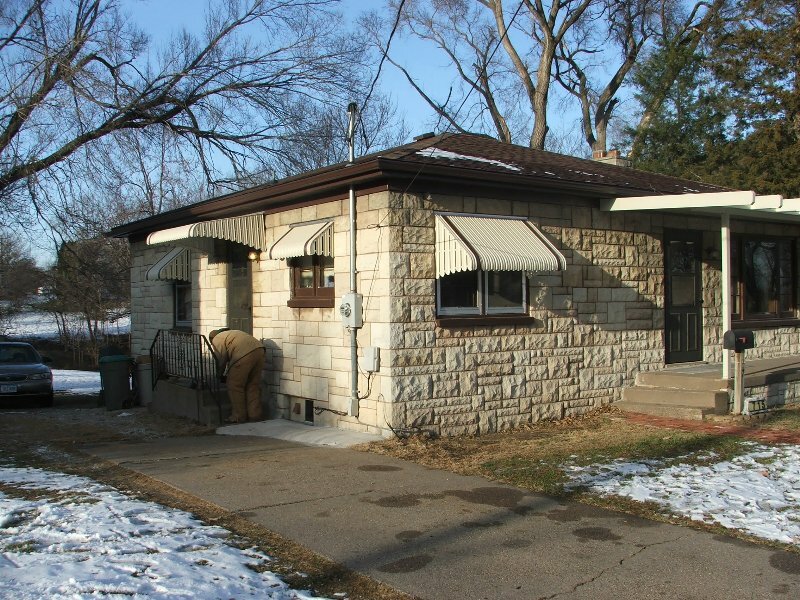 Older homes on the brick mold, newer homes outside the window on the siding.